Does Paris need introduction? Maybe. We all know the dream-like city of postcards. But there is a complex, majestic and electrifying town beneath that surface. Let us introduce you to it - a bubbling, blistering ville that makes you feel alive. Welcome to our Paris guide. Learn here about Paris' intricate yet compelling history. 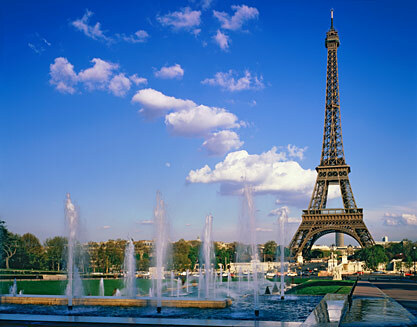 Paris is the city of love, romance, fashion, food...It is hard not to arrive with high expectations. Grand boulevards, impressive vistas, chic Parisians, and rude waiters - Paris has all of that. That and so much more. The real magic comes when you look beyond the Eiffel Tower and Louvre and aimlessly wander through backstreets or uncover the perfect boulangerie. That's when you know you've really seen Paris. This Paris guide will help you to discover the Parisian dream in the modern reality. We are here to provide you with all the essentials for a trip to Paris. From the stuff that you need to know before you leave home in Planning Your Trip to the best things to do once you're here in Out & About. As well as the basics we've thrown in a few extras along the way such as a History section to give you some background and a Culture section to allow you to get under the skin of most mysterious of peoples, Parisians. The weather in Paris can be unpredictable though. For a few reasons most people will say that the spring (April through June) or fall (September through November) are the best times to visit. In general the weather in paris isn’t too extreme in either direction (too cold or too hot), and prices on things like airfare and hotels aren’t at their peak. Most international flights land and leave from Charles de Gaulle airport, which is situated 30km (19 miles) north-east of Paris. The two cheapest and fastest ways to get into the city from Paris CDG are by RER and by bus. The RER train from Roissy-CDG to Paris leaves from the train station in Terminal 2. The Paris metro is without a doubt the fastest and cheapest way of getting around the city, even if it might not be the cleanest.The Paris metro network connects at several points in Paris with the RER, the commuter trains that go from the city center to the suburbs. What Paris is part of the What Travel Guide Collection, a series of on-line travel guides covering cities and countries all over the world. We provide essential information for the casual explorer, the cultured traveler and everyone in between.